Abbotsford – Soccer standout Monika Levarsky and wrestling champion Brad Hildenbrandt were named the University of the Fraser Valley’s 2016-17 athletes of the year on Wednesday evening, as the Cascades athletic department held its annual awards banquet at the Quality Hotel and Conference Centre. Levarsky, a third-year forward from Surrey, B.C., was honoured in the aftermath of a season that her head coach Rob Giesbrecht termed “the best-ever by a Cascades women’s soccer player.” The Sullivan Height Secondary graduate, despite suffering a late-season ACL injury and missing the better part of three games, scored 10 goals to set a new team record and tie for second in Canada West. She added six assists to finish fourth in the conference with total points, and was recognized as a Canada West first team all-star and a U SPORTS second team All-Canadian. She’s the first U SPORTS All-Canadian for the Cascades women’s soccer program. Levarsky topped a strong group of female athlete of the year finalists which included Kayli Sartori (basketball), Karla Godinez Gonzalez (wrestling) and Sharon Park (golf). 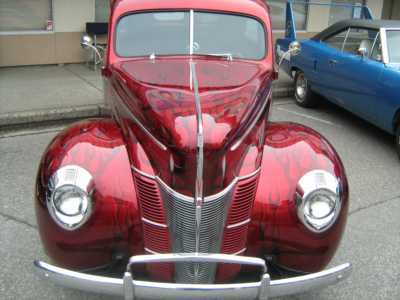 Hildenbrandt, a fellow Surrey, B.C. product, had an outstanding sophomore campaign with the Cascades wrestling program. 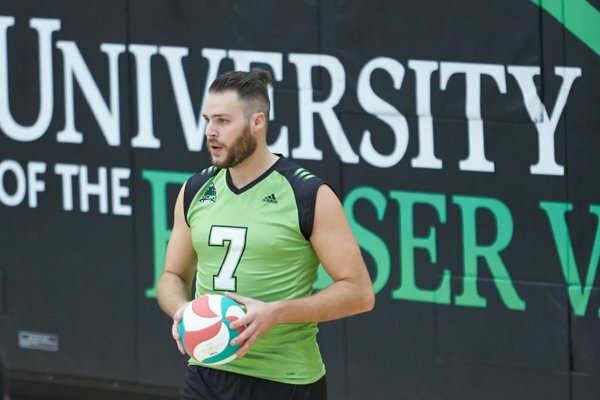 The Lord Tweedsmuir Secondary grad became the first UFV athlete to win a U SPORTS gold medal, battling his way to the title in the heavyweight (120 kg) division at the national championships in Winnipeg. His season featured five other podium finishes: Gold at the Canada West championships, the Golden Bear Invitational and the Cascades Classic; silver at the Dino Invitational; and bronze at the SFU Clansman International. The men’s athlete of the year finalists were an equally star-studded group, with Hildenbrandt emerging from a field which also featured Joel Kleingeltink (volleyball), Manny Dulay (basketball) and Tammer Byrne (soccer). Karla Godinez Gonzalez was the winner in the aftermath of a historic season – she became the first Cascades female athlete to earn a Canada West rookie of the year award. The Surrey product was the Canada West wrestling bronze medalist at 51 kg, and added two other third-place finishes during conference regular-season action, at the Golden Bears Invitational and the Cascades Classic. She went on to post a fifth-place result at the U SPORTS national championships. Ryan Donald, a right back from Surrey, had big shoes to fill as he stepped into the starting lineup with the Cascades men’s soccer team in the place of graduated all-star Colton O’Neill. He made a remarkable transition from the youth soccer ranks on his way to winning the male rookie of the year award, helping UFV post eight clean sheets in 16 Canada West games and notching one assist along the way. UFV president and vice-chancellor Dr. Mark Evered presented the team academic award, which recognizes the squad with the highest collective grade point average in the fall semester. It went to the Cascades men’s volleyball team, which posted a 3.03 GPA. Jasmine Mangat and Luc De Gianni were the winners of the female and male academic awards, respectively, which honour the student-athletes with the highest GPAs in the fall semester. Mangat, a sophomore defender from Surrey who plays for the women’s soccer team, earned a 4.22 GPA in her Bachelor of Business Administration studies. De Gianni, from Langley, B.C., is a rookie middle with the men’s volleyball team. He matched Mangat’s 4.22 GPA while pursuing his Bachelor of Science degree. Michelle Olive of the Cascades women’s rowing team was the recipient of the Jen Simpson Award, which honours leadership in three areas: on an athletic team, in the community, and in academics and involvement at UFV. The Abbotsford product is a committed, dedicated athlete who approaches the sport with a serious mindset and can be counted on in every aspect. Olive leads by example – she’s dependable and determined, and gives her all in every training session and race. Among an outstanding group of generous, community-minded finalists, Riley Dueckof the Cascades rowing program was selected as the winner. The award recognizes outstanding community service, especially service representing the UFV department of athletics. Dueck is an enthusiastic community volunteer on a number of fronts. He coaches volleyball to Grades 3-6 students, helps lead his church’s youth program, volunteers at R.C. Garnett Elementary School in Langley, has served an executive member with UFV’s Athletes in Action club for two years, and works as a peer mentor at his alma mater, Pacific Academy in Surrey. Riley played a key role in marketing and fundraising for the UFV rowing team. He’s a superb videographer, and has taken the initiative to market rowing at the university. He also worked with teammate Genelle Grubb to secure a record amount of sponsorship for the Cascades’ annual regatta, Head of the Fort. Be the first to comment on "UFV 2017 Top Athlete Awards"